WASHINGTON, D.C. – Tennessee’s electric cooperatives awarded $16,000 in scholarships to Washington Youth Tour delegates on Monday evening, June 12, in Washington, D.C.
Candace Hargrave, a senior from Duck River Electric Membership Corporation, was awarded a $10,000 Cooperative Youth Ambassador Scholarship. Hargrave was a 2016 delegate of the Washington Youth Tour. In the year following the tour, delegates who remain engaged with their sponsoring cooperative and complete certain community service requirements are eligible for the scholarship. Hargrave’s name was randomly selected from among the 100 delegates from across the state who completed the requirements. Destinee Gilchrist from Tennessee Valley Electric Cooperative, Taya Lewis from Caney Fork Electric Cooperative and Hope Newell from Gibson Electric Membership Corporation were awarded $3,000, $2,000 and $1,000 Robert McCarty Memorial Scholarships for having the first, second and third place papers of the more than 10,000 papers submitted across the state. McCarty was an employee of Volunteer Energy Cooperative and long-time chaperone on the annual youth tour. McCarty lost a battle with cancer in 2015, and sponsoring cooperatives renamed the scholarship in honor of his love for young people. 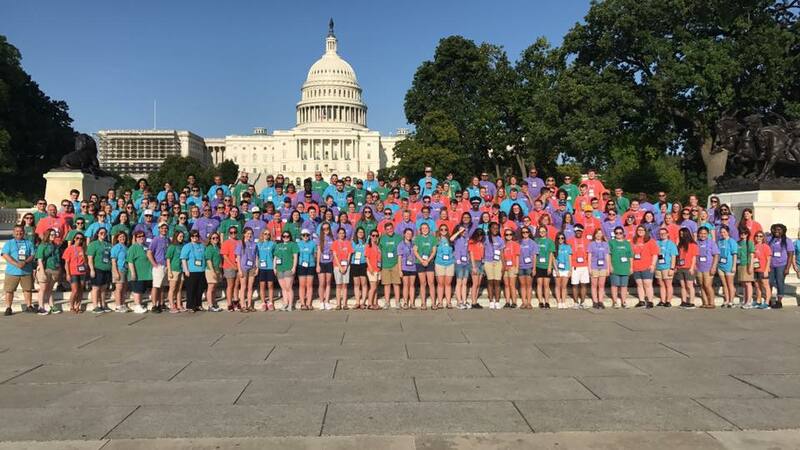 More than 180 high school Juniors from across the state are in the nation’s capital this week for the 2017 Washington Youth Tour. The annual event teaches students about our country and the cooperative business model. The annual event is coordinated by local electric cooperatives, the Tennessee Electric Cooperative Association and National Rural Electric Cooperative Association. What a wonderful thing you are doing – to honor these young people in such a super way. Not only the scholarships but the trip to Washington, DC provides these future leaders with an experience they will never forget. TECA is certainly to be commended for this wonderful opportunity! Thanks to all who are involved!